The 1998 ‘Good Friday’ agreement largely brought the sectarian violence to an end, and Adams now leads Sinn Féin as a force within both Northern Ireland, where the party sits on the Northern Ireland Executive — it largely governs alongside its rivals, the Democratic Unionist Party (DUP), and other parties. Sinn Féin holds four ministries, the DUP holds five ministries, and three other parties hold another four ministries. Adams’s colleague McGuinness has served as the deputy first minister of Northern Ireland since 2007. 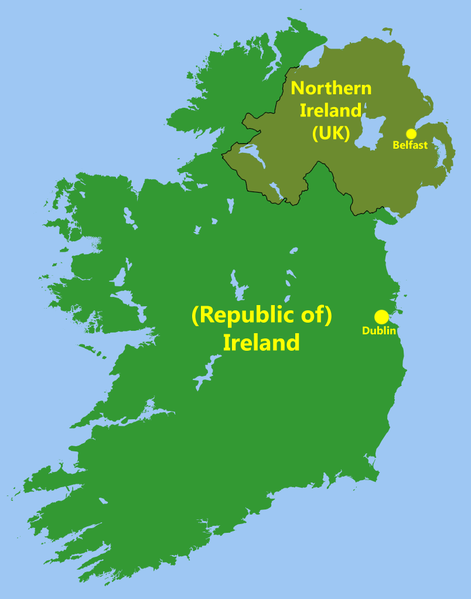 Generally speaking, politics in Northern Ireland, like in Belgium, is a dual contest between two discrete constituencies — the DUP largely competes with the Ulster Unionist Party (UUP) for votes among the majority Protestant community, and the Social Democratic and Labour Party (SDLP) largely competes with Sinn Féin for support among the Catholic community. The arrest seems certain to galvanize republican Catholics in Northern Ireland, motivating Sinn Féin supporters just before the May 22-25 European parliamentary elections. In the aftermath of the Good Friday Agreement, Sinn Féin has increasingly supplanted the SDLP, which largely rebuked the IRA’s political violence during the Troubles and which dominated politics in the era before the Good Friday Agreement. The greatest worry for Sinn Féin in Northern Ireland isn’t so much that it will lose support to the SDLP or anyone else, but that the re-opening of the case could sabotage the fragile peace that’s existed since 1998 — and that’s largely allowed Belfast to grow into an economically vibrant city after years of fighting. If Belfast police ultimate decide to charge Adams, now 65, with McConville’s murder in the weeks ahead, it could bring down Northern Ireland’s Stormont-based power-shaing government or even plunge the region back into violence. McGuiness has already threatened to withdraw Sinn Féin’s support for the nationwide Police Service of Northern Ireland, a step that Northern Ireland’s first minister Peter Robinson denounced over the weekend. Upon his release, Adams reiterated that Sinn Féin would not revoke its support for the national police, and he called for calm on both sides, lest his arrest and interrogation rupture what’s otherwise been a fairly successful peace process. Many Northern Irish Catholics already believe the Belfast police have a Protestant bias and that they use their power to settle old scores from the Troubles. Moreover, there are plenty of republican sympathizers who have never forgiven Adams for his role as a chief architect of the Good Friday Agreement, and they would take plenty of schadenfreude in criminal proceedings against Adams. The effect in Ireland could be more damaging, where Sinn Féin had been forecast, before Adams’s arrest, to win three or four of Ireland’s 11 seats in the European parliament. Before the Good Friday Agreement, Sinn Féin had only a marginal political footprint in the Republic of Ireland — it won just one seat in the 1997 general election. But it slowly developed a growing support base, and it won five seats in the 2002 election. 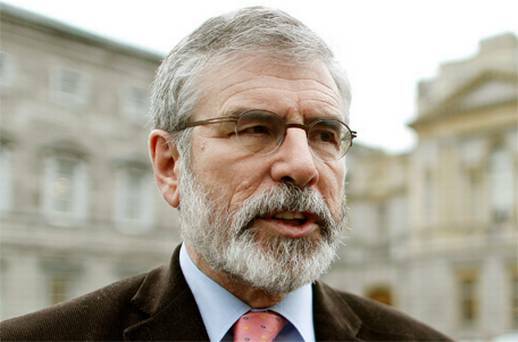 In the most recent 2011 general election, Adams shifted his political base from west Belfast in Northern Ireland to the Republic of Ireland, a strategy that paid off handsomely — Sinn Féin won 9.9% of the vote and 14 members of the Irish parliament. In the aftermath of the Irish financial crisis and the nationalization of its non-performing banks, Sinn Féin attracted a new base of supporters for its anti-austerity platform and among voters disgusted by the economic failures of the previous Fianna Fáil governments of former Taoisearch Bertie Ahern and his successor, Brian Cowen. Today, polls show that Sinn Féin has nearly doubled its support to 20% or higher. Under Adams’s leadership and with the emergence of a new generation of republican leaders untainted by the Troubles, such as Mary Lou McDonald, Sinn Féin has emerged as the chief leftist opposition in Ireland. It was poised for a three-way race with the governing center-right Fine Gael and the more conservative Fianna Fáil to become Ireland’s largest party as the next Irish general election approaches, likely in 2016 — notably, the 100th anniversary of the failed Easter rising that launched modern Irish nationalism. Adams today is less influential in Irish politics than he was in 2011, especially after it emerged that his brother Liam sexually abused his five-year old daughter, possibly with Gerry Adams’s knowledge. If Adams helped put Sinn Féin on the political spectrum in Ireland proper over the past 15 years, it’s the emergence of a new guard of leaders like McDonald that are largely powering Sinn Féin’s rise as a real contender for power. Nonetheless, it’s not hard to envision that Adams’s arrest will jeopardize those gains — and a murder charge or conviction would almost certainly make it impossible for Sinn Féin, at least under Adams’s leadership, to take part in a coalition government with Fine Gael, Fanna Fáil, Ireland’s social democratic Labour Party. Irish voters aren’t going to elect a government that’s focused on fighting the battles of the 1970s and 1980s, so every day that McDonald and the other rising stars on Sinn Féin in Ireland are forced to defend Adams and declaim his involvement with the IRA is a day lost from more germane policy issues in the Irish republic. Photo credit to PA / Irish Independent.